Repco Bank Recruitments for Manager and Asst. Manager-2014. 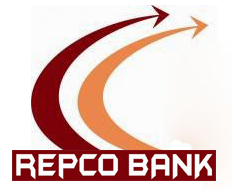 Repco Bank has recruitment for the posting of manager and assistant manager for the year 2014 to fulfill the vacancies. More details about the recruitment are mentioned below. Eligible candidates can apply on or before 31/07/2014. Any Degree in BE/Arts/science/commerce/law/management in university that recognized by UGC with 60% and with relevant experience. Note: There are Age restrictions for the candidates those who are under SC/ST/OBC/Repatriate/EXS. Selection Process:Candidates will be selected from the group activity and interview. · Rs. 350/- for SC/ST/OBC/Repatriate/EXS candidates. Payable at: Chennai, In favor of: Repco Bank Recruitment Cell. Eligible candidates should fill the application in Bio-data form, which you can download below. That form should be typed in English over a thick A4 size paper, and you have to paste your recent passport size photograph over the right top corner of the form. By subscribing as: FOR THE POST OF ______________. Late date for submitting the application: 31/07/2014. Download the Application in Bio-Data form. Previous articleAP Mahesh Co-Operative Urban Bank Ltd Recruitments for the year 2014. Next articleState Bank of Bikaner& Jaipur recruitment for part time Safaikarmachari-2014.